Has your camper not written home as much as you wanted them to? Have they only written two sentences? I promise, if you answered yes to any of these questions, it just means that your camper is having a blast. Here at The Heart, we have a jam packed schedule from 7:35 a.m. until 10 p.m. Counselors have been encouraged to promote a healthy sleep schedule. If you’ve been in Texas during the summer then you know the temperature is constantly on the rise. We take precautions to ensure the well being of your campers by having siesta, a rest period. With this being said, your camper is likely spending time sleeping during siesta than writing home. 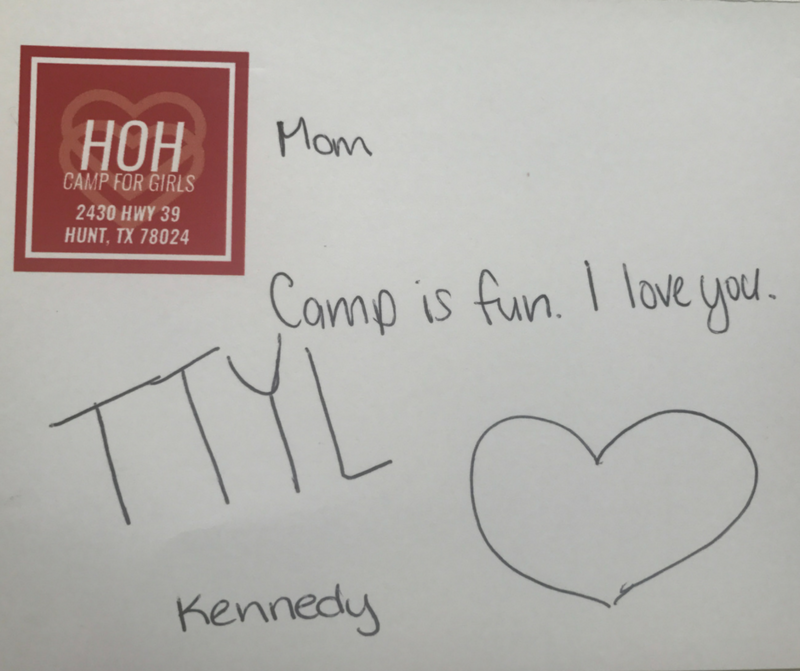 We assure you, your camper misses you and thinks about you every day. Do not give up hope yet! If you send an email with a fax-back attached we require the campers to respond. 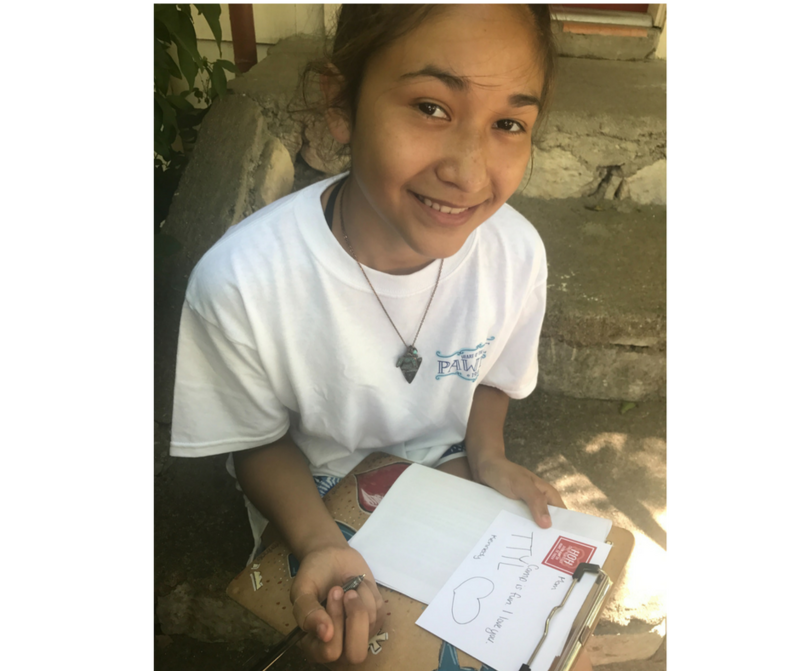 Instead of using snail mail, when you email your daughter at camp you can use your ca mp stamps to attach a fax-back sheet. This is a blank sheet that they write their response on and we fax it back to you. This is given to the girls during mail time at siesta and they respond immediately! Please do not forget to check in on camp minder every day for our daily updates from our fabulous media team. Your camper might even be featured in a video! We are so thankful to have your children be a part of The Heart. This would not be possible without the support of each of you reading this. 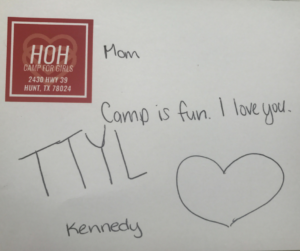 Placing your daughter at camp for two or four weeks can feel like an eternity, especially when communication is a one way street. Do not worry. This is just a part of camp. I am sure that your ear will be talked off as soon as the gates open on closing day. So continue to write even if your camper doesn’t respond back as much as you want.